A selfie photograph by BBC cameraman Johnny Rutherford, centre, flanked by Chris Maddocks and Jo Pavey...taken at Exeter Airport en route to Glasgow 2014 Commonwealth Games. February: Post funeral wake commemorating Chris Maddocks' beloved Mum. Chris Maddocks' extended family gathering at home of his late mother. Some of the younger family members at Chris's mum's wake. March: Extended family pub meal celebrating several birthdays. June: Eleanor Rachel Maddocks 3rd birthday, with her Mummy, Nanny, and Floss. Mike Byrne demonstrates handstand skills for his cousin Eleanor Maddocks. Daddy watches as Eleanor opens another present. After family pub lunch, its happy times with a shoulder-ride for Eleanor. 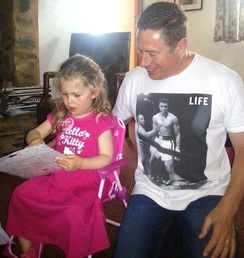 Eleanor Maddocks is unsure whether her daddy needs an additional tattoo to his Olympic rings. June: Eleanor visits her daddy during his training session at Tiverton Exe Valley Leisure Centre. August: Exeter Arena. Chris Maddocks with wife Fiona and daughter Eleanor during the 2014 SW Track & Field Championships. July: Chris Maddocks family holiday at Longleat Centre Parks. Sept 12th: Holdon Hill. 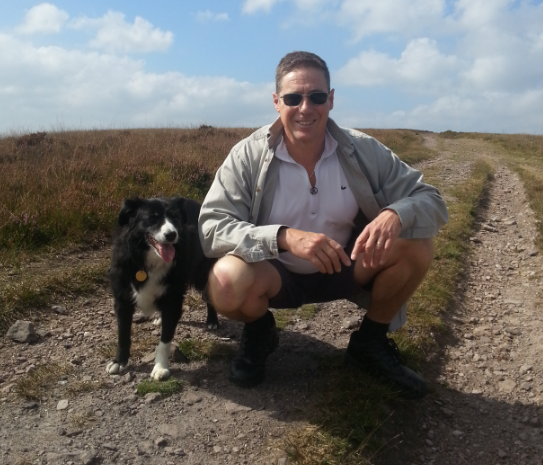 Chris & Fi enjoy a anniversary walk with their Floss their beloved 14 year old Border Collie. Fi Maddocks savours the views over Holdon Hill. Sept 12th 2014: 5 years married. Chris & Fi Maddocks enjoy a lunchtime anniversary meal at a Chinese restaurant in Tiverton. Sept 2014: Tiverton cemetery, headstone in place. "RIP Mum". 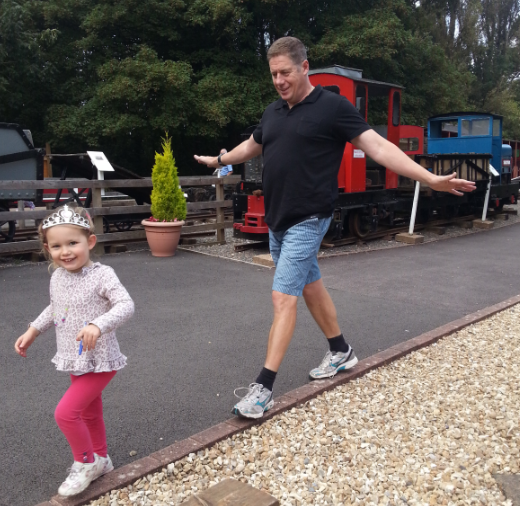 Oct: Princess Eleanor Maddocks outpaces her daddy at Devon Railway Centre. November: Life is about sharing; Eleanor playing with cousin Daisy.